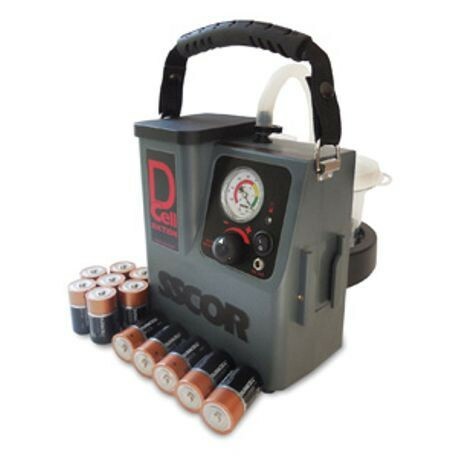 The DCell Suction is the first and only suction device powered by off-the-shelf alkaline batteries. This unique feature allows the DCell Suction to provide high-quality, continuous medical vacuum for 6-9 hours without the need to recharge. After depletion, batteries can be changed in a minute, making the DCell Suction’s runtime almost indefinite. The DCell Suction Unit is ideal to have for disaster management cache/stockpiles.